NOW AVAILABLE!!! We have now started processing our longhorn beef where customers can now place orders for individual cuts of longhorn beef. 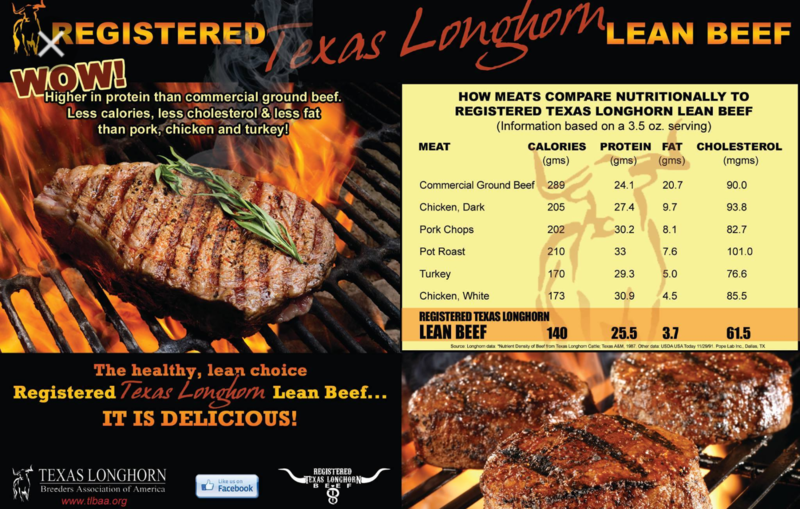 Our all natural longhorn beef will be USDA certified and will be a premium product at a very reasonable price. We are currently processing a longhorn beef every 3 weeks. So, we will have FRESH beef every 3 weeks. If there is a cut of beef that you want that is not on our price list let us know and we will get what you looking for. If you are looking to place an order be sure to get us your information. Follow our business page on Facebook to get updates on when fresh inventory is available. Four Season Catering & Bakery/ Deli in Marion, VA; Rhonda Cox; 276-781-1411 http://www.fourseasonsswva.com/ Follow Four Seasons on Facebook for Specials! Also, Follow Let's Make Supper Simple if you would like some longhorn delivered for supper! Casey's Diner at 988 South Fork Rd. Marion, VA 24354; Jessica Williams and Tom Evans; 276-783-2937 Follow Casey's Diner on Facebook For Specials! Java Blend Cafe at 6778 West Lee Highway Rural Retreat, VA 24368; Just off exit 60 on I-81, 276-250-2005 Follow them on Facebook!